Hey guys! Welcome back, I can't believe how quick this week is already moving and how close Thanksgiving and Black Friday are. 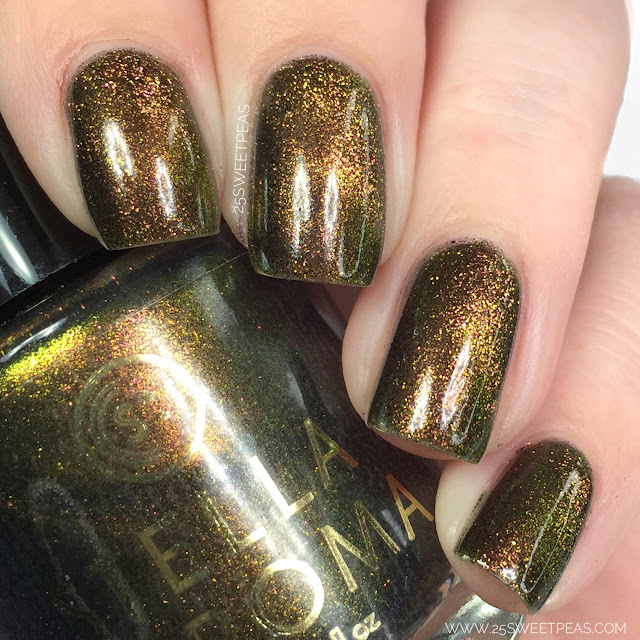 Which also means lots of new polishes releases it seems! Today I have a new Trio to show you from Stella Chroma called The Constellations Trio, and it's coming out Friday! That all being said lets take a look! They are extra amazing because they are magnetic! 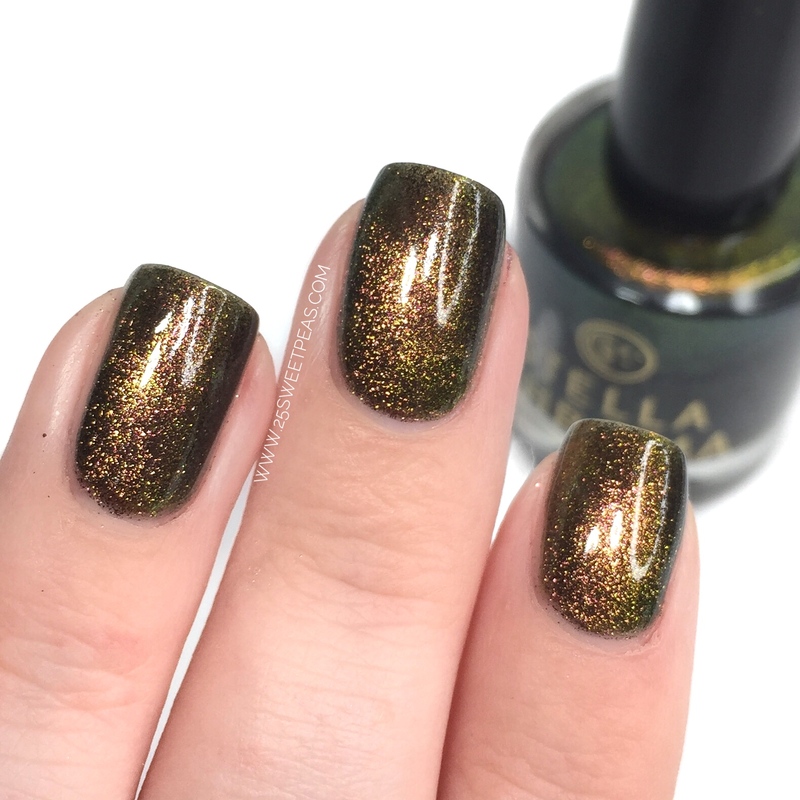 A black jelly polish with green-gold-red shifting magnetic flakies. First off all of these polishes have basically the same formulas. 3 really easy coats result in full coverage. Now since these are magnetic lets chat about that. 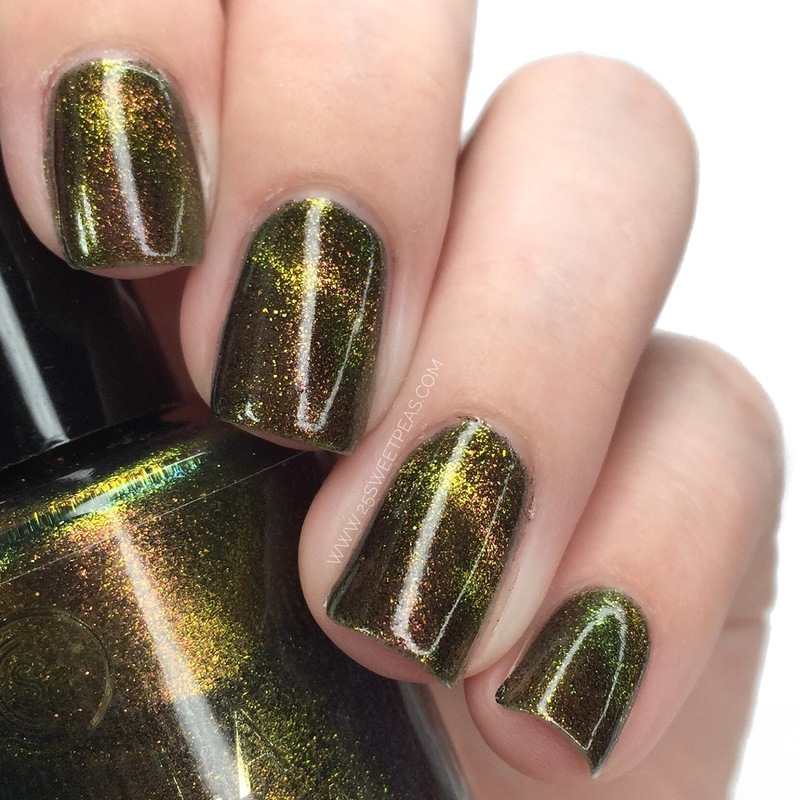 In case you have never used a magnetic polish here is a little run down of how you apply it. 1. Apply as many coats you need to get full coverage. 2. On the final coat, do each nail one at a time. 3. 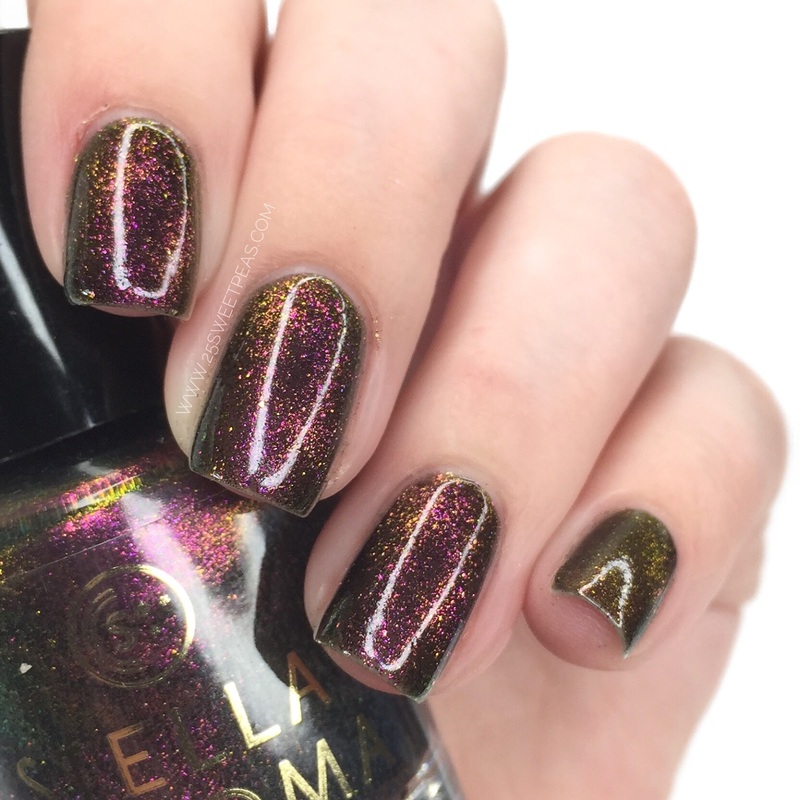 While your final coat is wet and just on one nail, hold your magnetic however you like above the polish and let the magic happen. 4. Repeat on the rest of your nails. This one is just so pretty, and the magnetic pull is so strong on all of the polishes in this post! 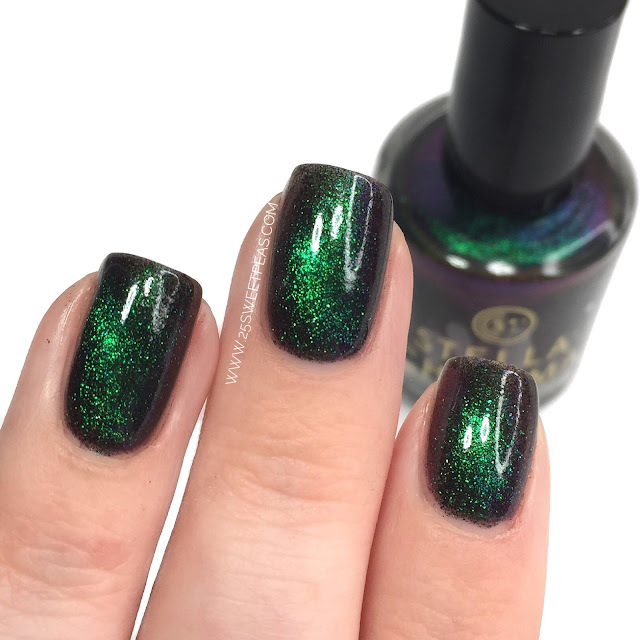 A black jelly polish with violet-blue-green shifting magnetic flakies. Here is probably my fave of the trio! This one not only has a easy to work with formula, the magnetic pull was strong, and so if the 3 shifts! You get a purple phase, a blue phase, and a green phase and in the above shot you really get a little bit go all of it and I just love it. 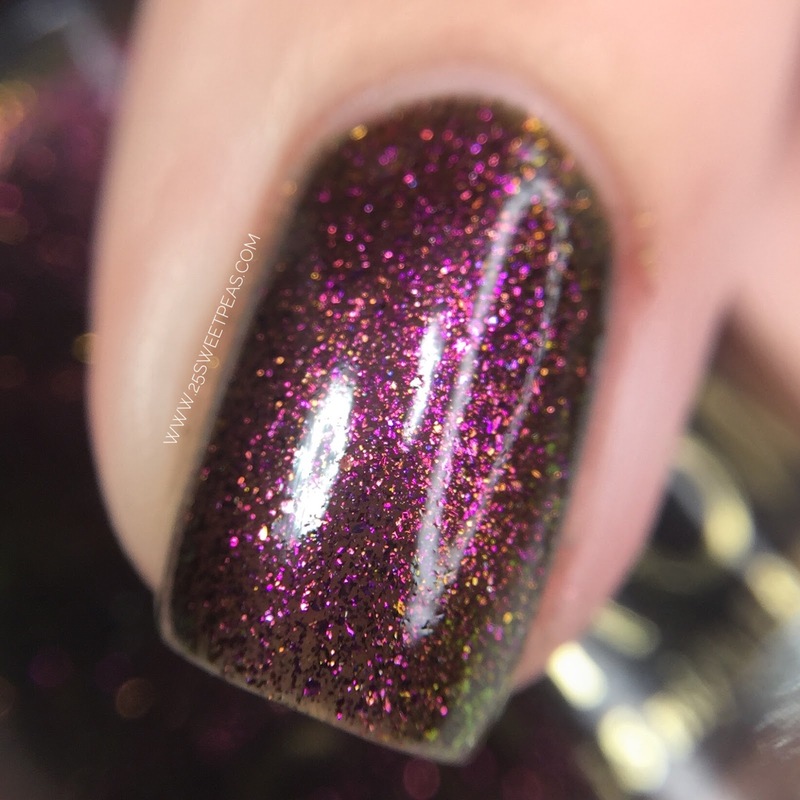 A black jelly with gold-red-violet shifting magnetic flakies. 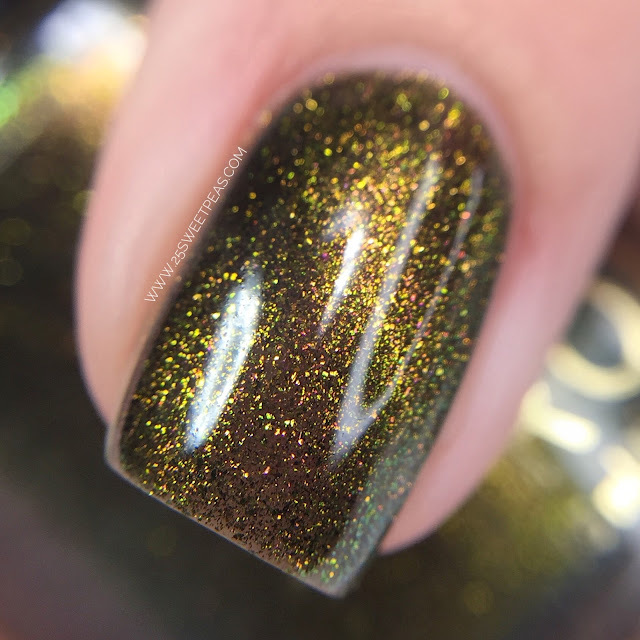 Another great easy to work with formula and the colors are so bold. 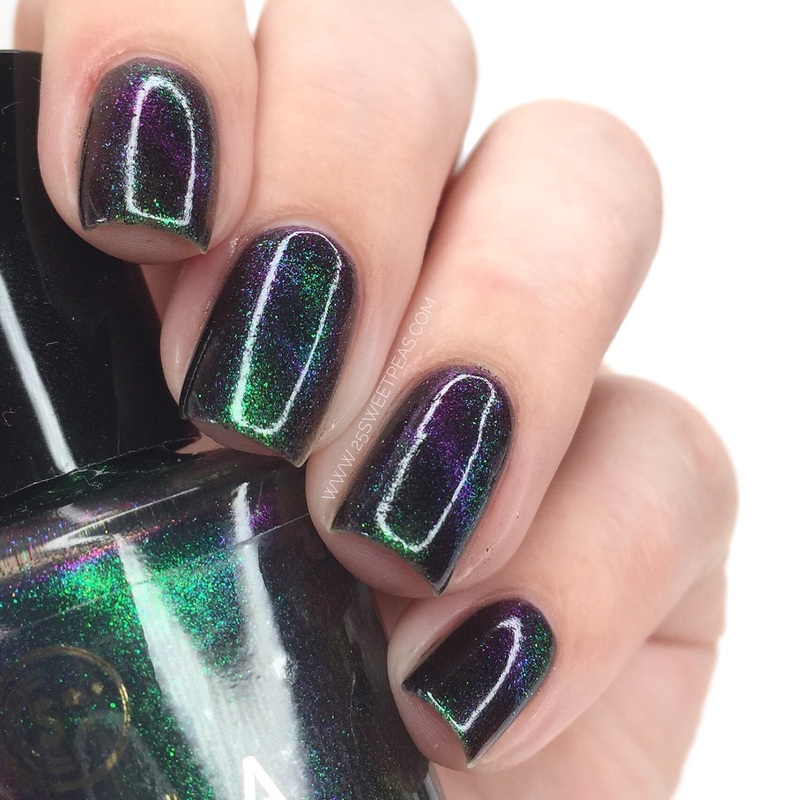 Really all of these polishes are made up of very bold shades. Here the pink really stands out but so does a warm golden shade when you look at certain angles. These is even some slight green showing up there on the edges! 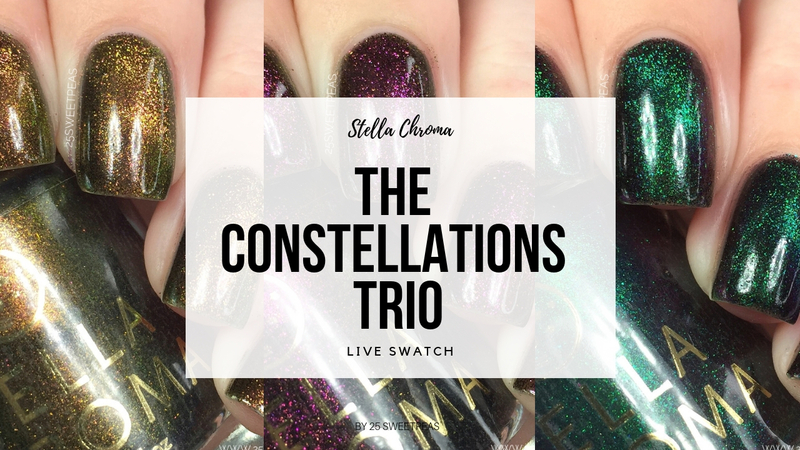 The Constellations Trio will be releasing on November 23rd at noon EST and only be available until December 7th. 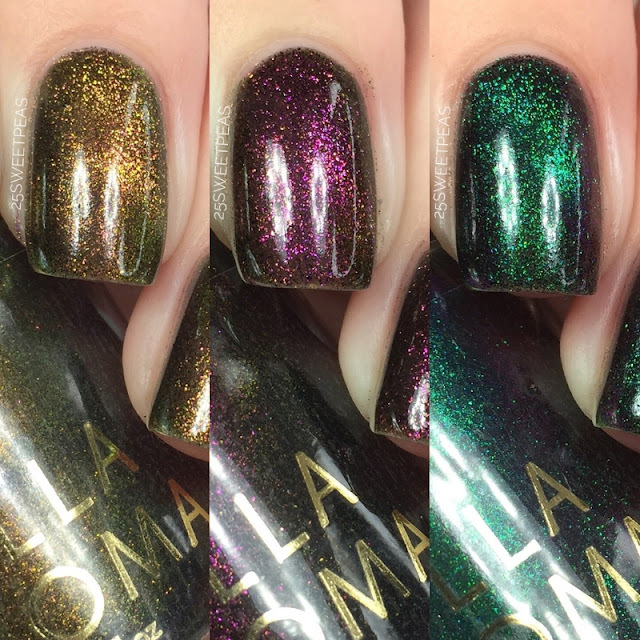 The polishes will be $13 each or you can get the trio for $36. After December 7th they will be available as individual polishes! Also because this will be releasing within the Black Friday sale you can take advantage of that! The Black Friday deal is that any purchase of $25 or more will be getting free shipping. So get the trio and grab a nice body product. I have a post on some of them coming soon and spoiler I love them! If you like a sweet scent you should totally try Cranberry Salsa or Pineapple and Brown Sugar. Those are SO nice, as are all of them but those are my fave at the moment. Wow, these are so complex and shifty. It's a great trio. 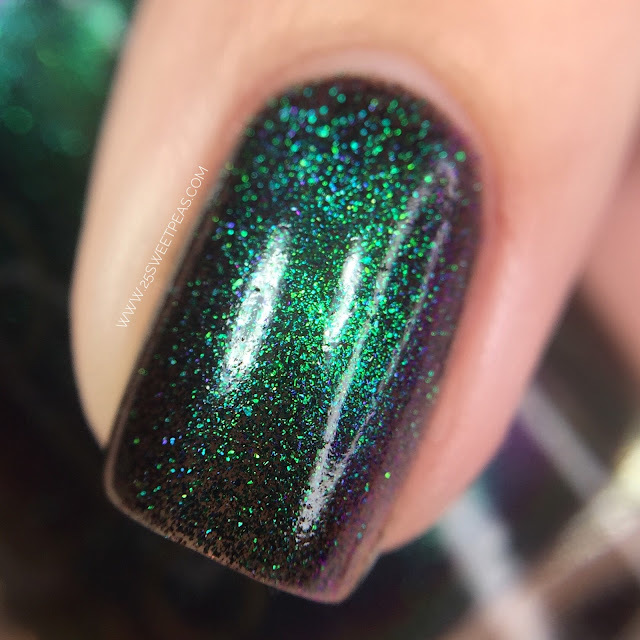 I love the finish of these polishes. It’s just so unique. They're extremely pretty, I want them!! !